Leading economists consider the shape of future economic policy: will it resume the pre-crisis consensus, or contend with the post-crisis "new normal"? What will economic policy look like once the global financial crisis is finally over? Will it resume the pre-crisis consensus, or will it be forced to contend with a post-crisis "new normal"? Have we made progress in addressing these issues, or does confusion remain? In April of 2015, the International Monetary Fund gathered leading economists, both academics and policymakers, to address the shape of future macroeconomic policy. This book is the result, with prominent figures-including Ben Bernanke, John Taylor, and Paul Volcker-offering essays that address topics that range from the measurement of systemic risk to foreign exchange intervention. 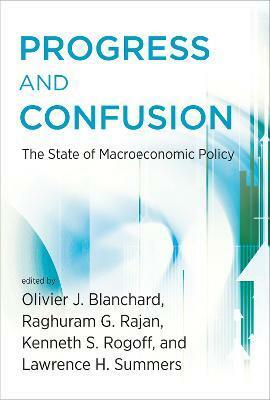 The chapters address whether we have entered a "new normal" of low growth, negative real rates, and deflationary pressures, with contributors taking opposing views; whether new financial regulation has stemmed systemic risk; the effectiveness of macro prudential tools; monetary policy, the choice of inflation targets, and the responsibilities of central banks; fiscal policy, stimulus, and debt stabilization; the volatility of capital flows; and the international monetary and financial system, including the role of international policy coordination. Olivier Blanchard is C. Fred Bergsten Senior Fellow at the Peterson Institute for International Economics in Washington, DC. He was Chief Economist at the International Monetary Fund from 2008 to 2015. Raghuran Rajan is Katherine Dusak Miller Distinguished Service Professor of Finance at the University of Chicago Booth School of Business. Kenneth Rogoff is Thomas D. Cabot Professor of Public Policy and Professor of Economics at Harvard University. Lawrence H. Summers is Charles W. Eliot Professor and President Emeritus at Harvard University. He served as Secretary of the Treasury in the Clinton administration and as Director of the National Economic Council in the Obama administration. Olivier Blanchard is C. Fred Bergsten Senior Fellow at the Peterson Institute for International Economics in Washington, DC. He was Chief Economist at the International Monetary Fund from 2008 to 2015. Kenneth Rogoff is Thomas D. Cabot Professor of Public Policy and Professor of Economics at Harvard University. Lawrence H. Summers is Charles W. Eliot Professor and President Emeritus at Harvard University. He served as Secretary of the Treasury in the Clinton administration and as Director of the National Economic Council in the Obama administration. Ben S. Bernanke is the Howard Harrison and Gabrielle Snyder Beck Professor of Economics and Public Affairs at Princeton University. John B. Taylor is Mary and Robert Raymond Professor of Economics at Stanford University and George P. Schultz Fellow in Economics at the Hoover Institution. Maurice Obstfeld is Class of 1958 Professor of Economics at the University of California, Berkeley. Ricardo J. Caballero is Ford International Professor of Economics at MIT. Raghuran Rajan is Katherine Dusak Miller Distinguished Service Professor of Finance at the University of Chicago Booth School of Business.